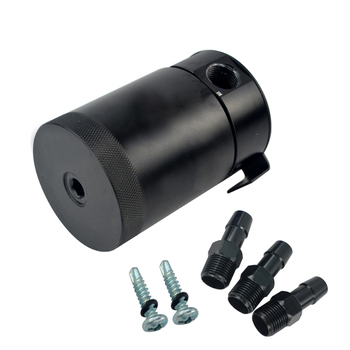 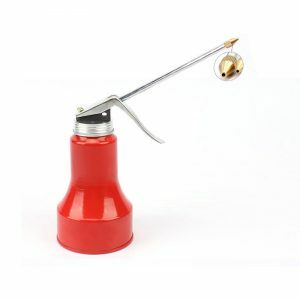 The Compact Baffled Oil Catch Can is designed to separate oil particles from the PCV/CCV air that would normally have just been routed back to your intake. 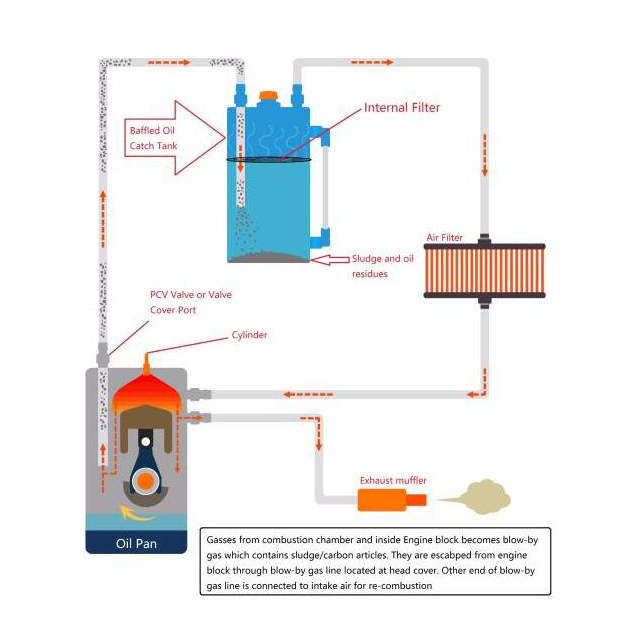 This would eventually create a layer of gunk on your intake valves causing knock, pre-ignition, loss in power and loss in fuel economy as seen here. 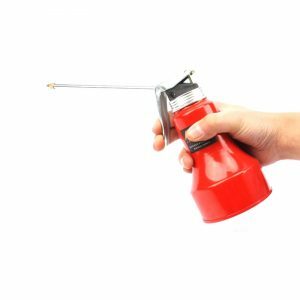 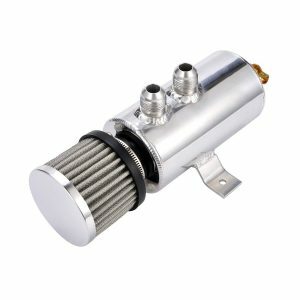 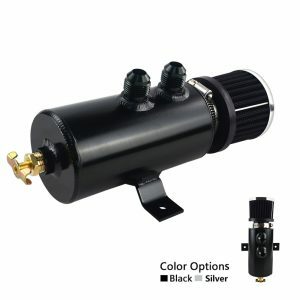 The internal air diverter turbulates the air longer and ensures all the oil sinks to the bottom of the can, leaving nothing but clean air to pass through the 50-micron bronze filter to the intake. 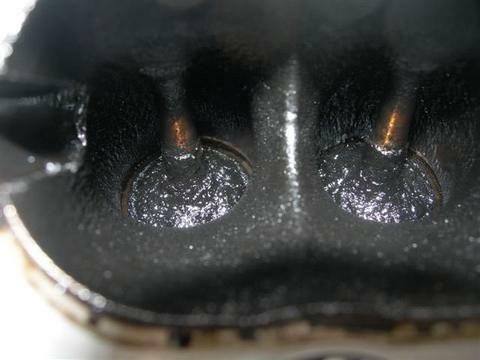 An internal baffle keeps the collected oil from splashing around under race conditions. 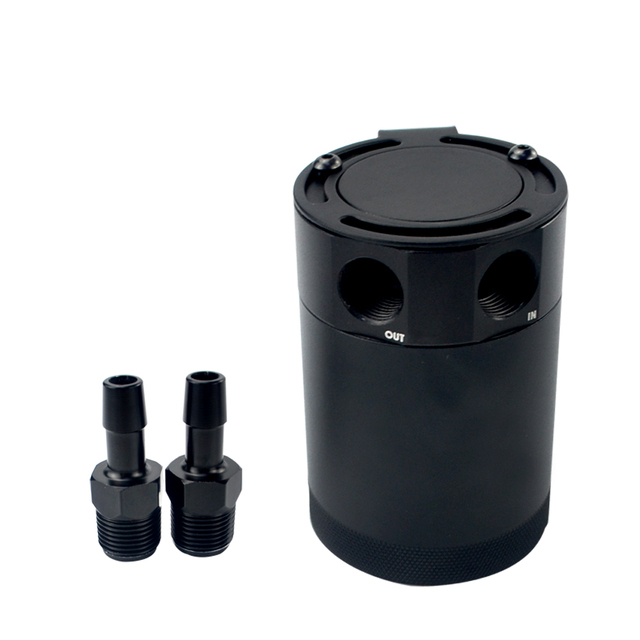 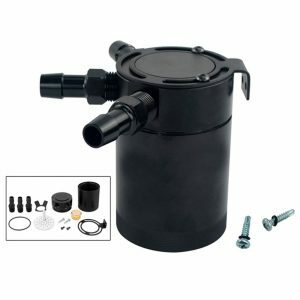 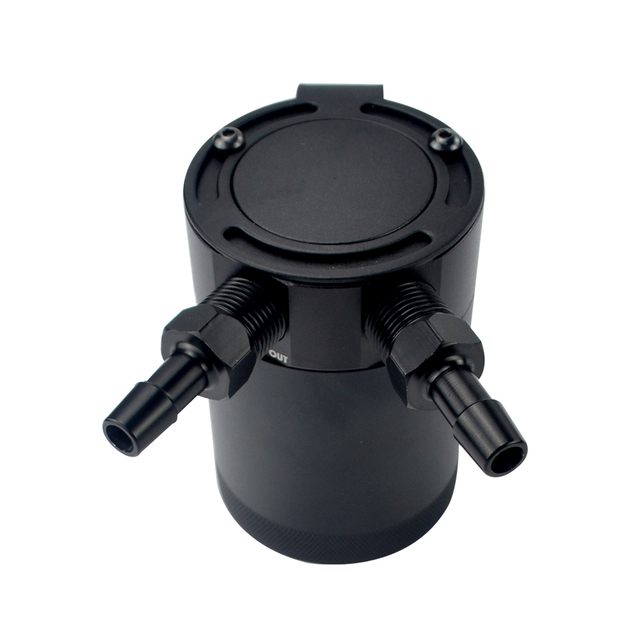 This oil catch can features two ports, one inlet and one outlet, for easy installation on PCV or CCV systems. 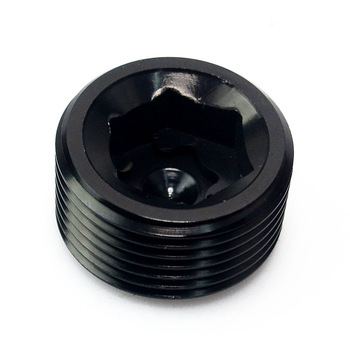 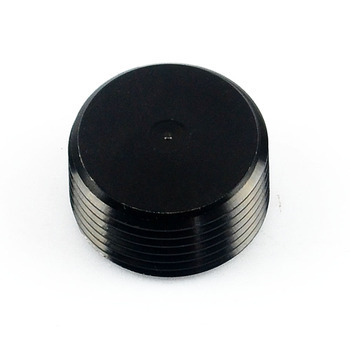 The 100 percent billet, T6061 aluminum can features 3/8″ NPT threads at the inlet, outlet, and drain area and includes two black nylon fittings to make installation effortless. 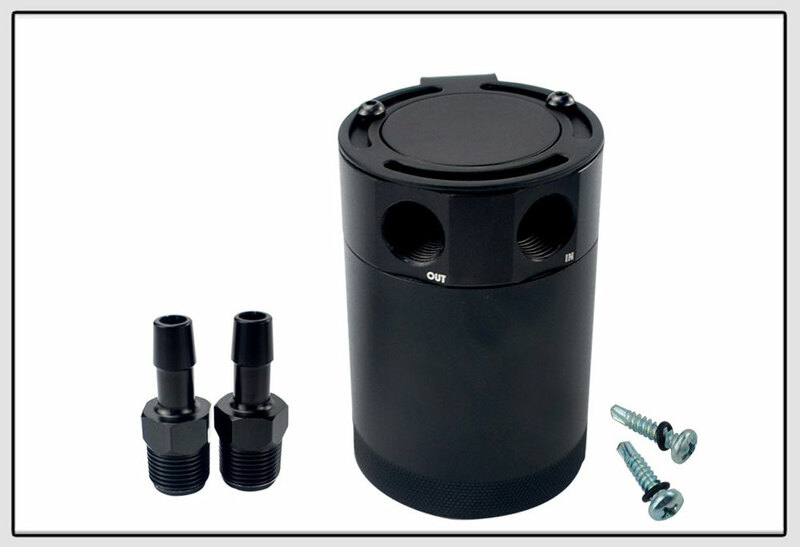 For maximum fitment options, the top mounting setup allows the can to be mounted from multiple angles. 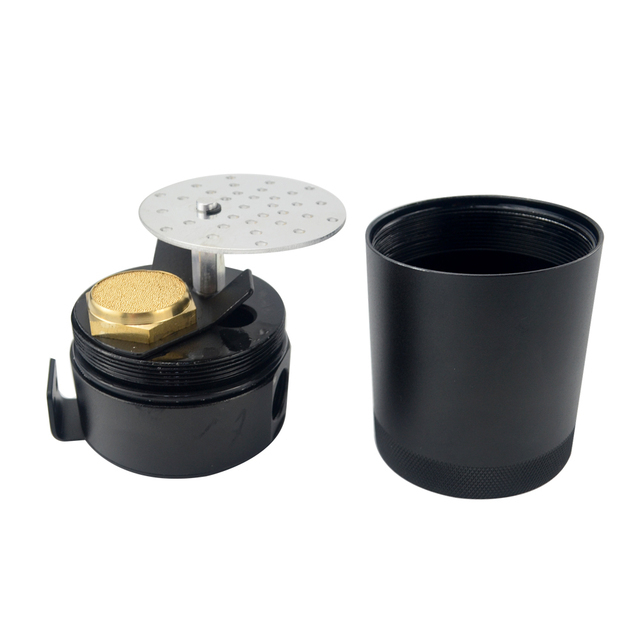 To make maintenance easy, the drain plug can be removed to allow for a return to the oil pan. *It is not recommended to drain back to the oil pan if you are running your car in the winter months as the catch can may accumulate moisture and you would effectively be running water back to your oil pan. The can is 100 percent washable, unlike many other cans that require you to replace your filtration system. 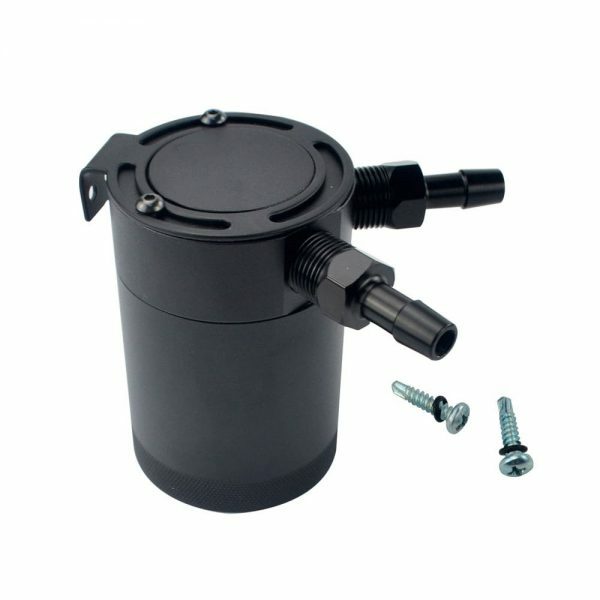 *Professional installation is strongly recommended. 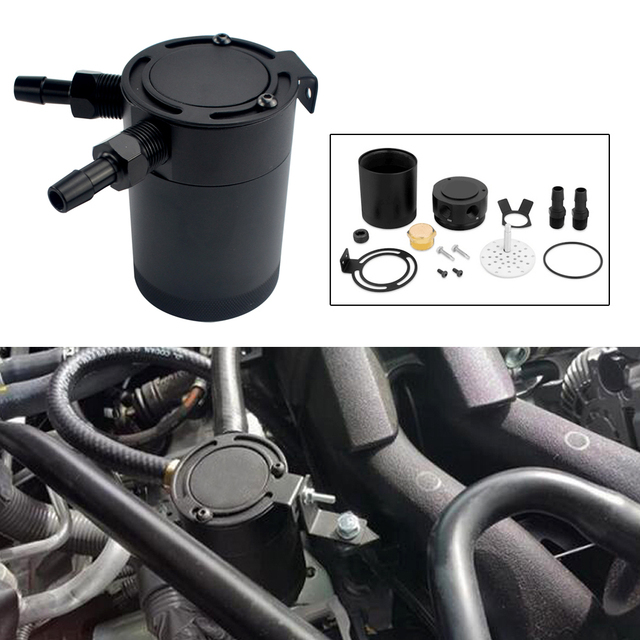 Installation instructions are not included. 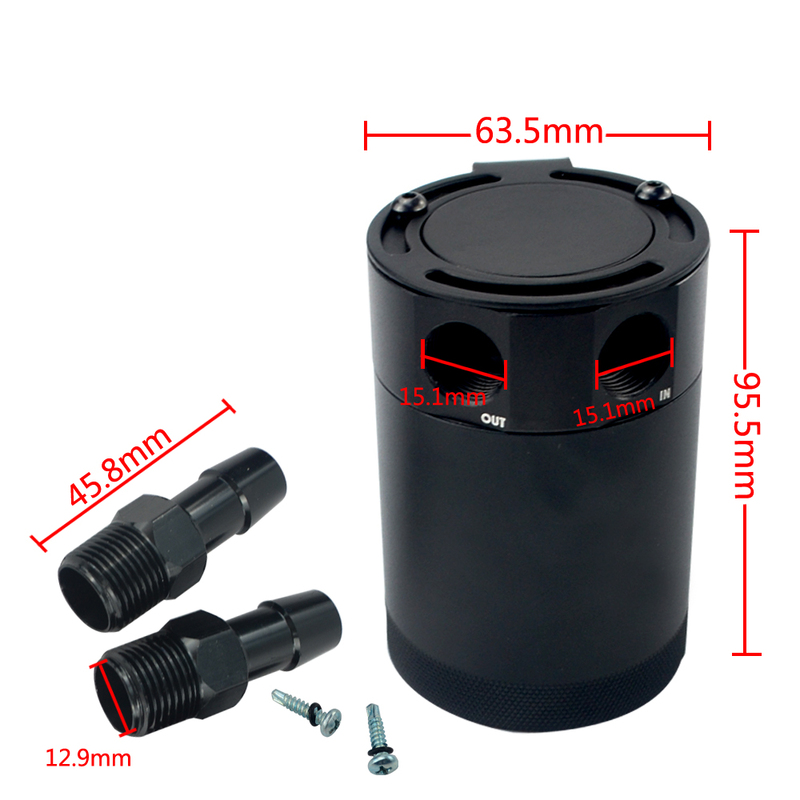 3.80" x 2.50" x 2.50"